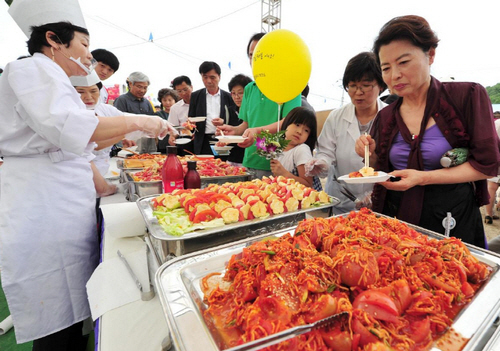 Daejeo Tomato Festival promotes the excellence and great taste of Daejeo tomatoes. Having beenn cultivated in the rich delta soil of Nakdonggang River for over 60 years, Daejeo tomoates are popular for their premium quality and taste. The festival also aims to promote locally grown products in order to reinvigorate the rural economy by further expanding the range of food distribution. It will help foster unity among local residents and encourage farmers to remain on the land. Sports Park Station (Busan Subway Line 3), Exit 1 or 3.